Yet, you go to church every Sunday and never hear the truth about the world. Feel good sermons isn’t what it’s about. The Church embraces this cultural marxism, rather than explaining it to the congregations. Instead of fearing God, we fear what man can do to us. Numbers 13 when the spies were sent into the Promised Land, Joshua and Caleb got excited when they saw all the goodness of the Promised Land. They noticed the giants but were not afraid of them. 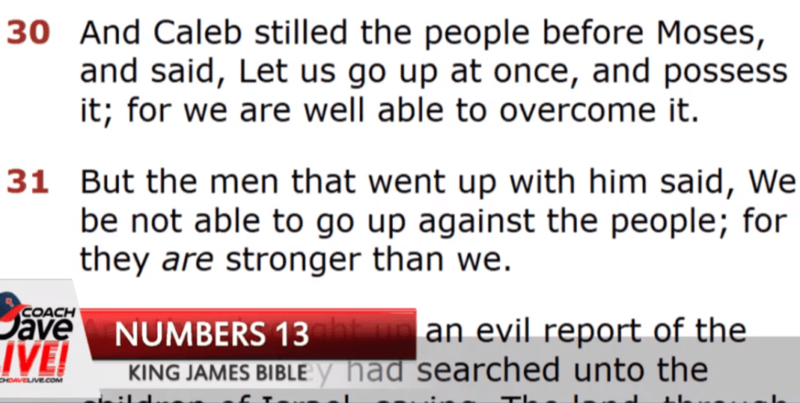 Caleb said, “Let us go up at once, and possess it; for we are well able to overcome it.” He revered His God instead of fearing the giants!